The Problem It is not always practical to have a lobby staffed for all hours to greet visitors. Some companies resort to placing a phone in the lobby for people to dial for help. Others have a buzzer that requires a staff member to respond. As a result, the first impression of a company is an impersonal and unpleasant customer experience. 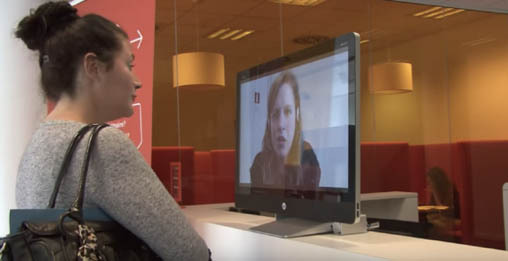 The Solution TelePresence Tech has developed the technology for visitors to be greeted with a smile by a receptionist appearing life-size through telepresence. We have successfully implemented our telepresence receptionist applications for international customers. 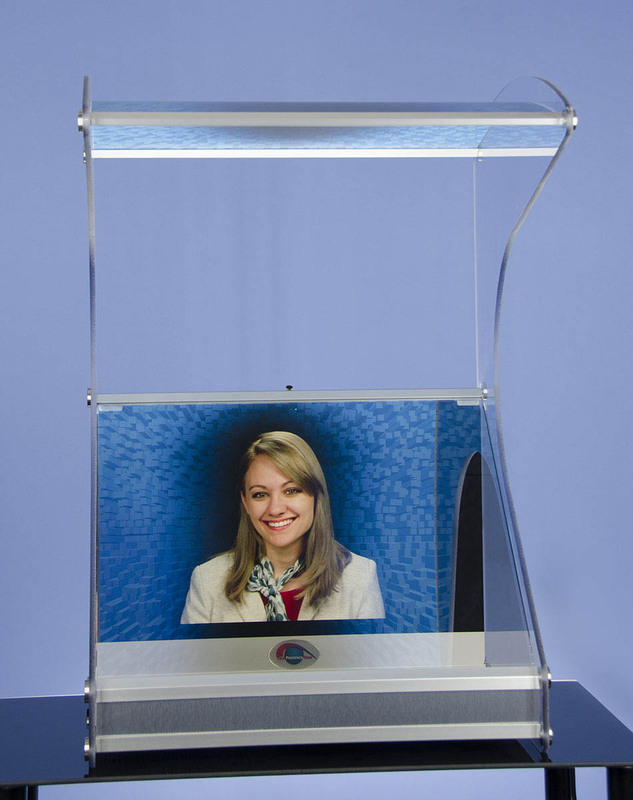 The receptionist can interact naturally while making eye contact with the visitors. She can help them get signed in and receive a printed visitor badge. With our Holographical Reality the receptionist will appear three dimensionally in the room without the need for 3D glasses. This TPT Showcase can be placed on an existing reception counter. Alternatively, we can fabricate a custom plinth in a finish that is compatible with the interior design of the lobby. Our telepresence solution can be as simple as a single all-in-one computer placed on a counter or mounted to a wall. Even in this flat screen format the receptionist appears with eye contact for a natural and personal interaction. Our reception solution is a cloud based service that is managed to transmit your receptionists to the locations where they are needed. The receptionist will use a TPT Station , which can fit on their desk at their office or at home. 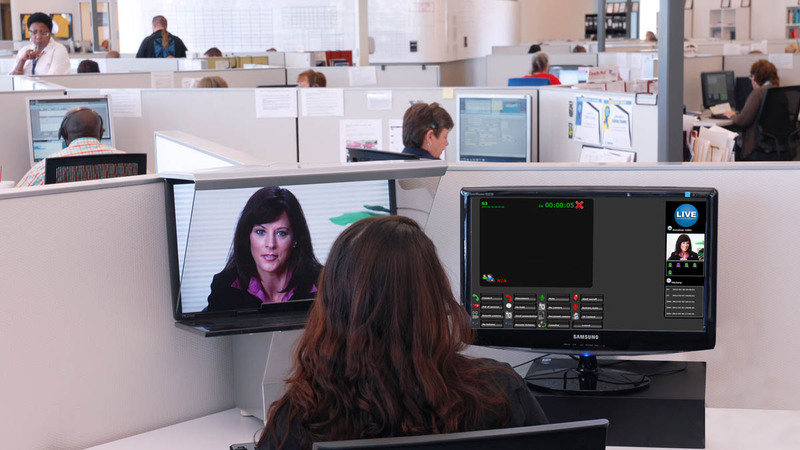 For larger companies our telepresence receptionist solution can be operated from a TelePresence Center . The equipment and video service can be contracted for a monthly fee to help your company to start saving money every month while improving your customer experience. Please contact us to find out how we can help your company.